Always use protection...you know, for your electronics. Buying new electronics is all fun and games until a power surge destroys your TV and now you are stuck playing Monopoly for hours. Would you rather watch Game Of Thrones, or play a board game in which no one ever wins and the banker sneaks money every turn? That's what I thought. 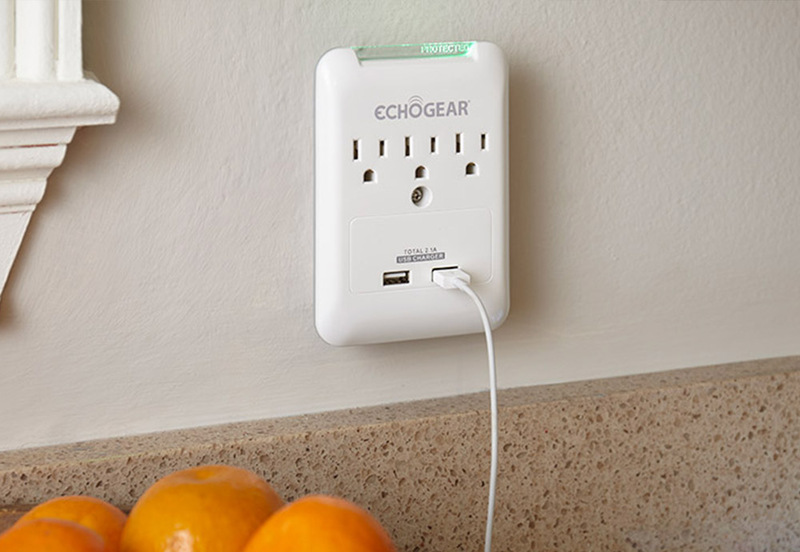 Protect your electronics from dangerous power surges with ECHOGEAR surge protectors. We've got plenty of options, from slim on-wall surge protectors to robust power strip surge protectors. With features like USB ports and rotating outlets, you can turn a single outlet into a surge protected power station in seconds. Check them out and remember what they taught you in health class, always use protection.